I selected some pretty cool and amazing tutorials for developers who are going to learn how to make applications for android - for beginners and advanced developers. Some are Tutorials for drawing, some are for using location service, another – using the SDK. Hope you find it Useful ! This tutorial shows you how to create a simple Android application that uses the OpenGL ES 2.0 API to perform some basic graphics operations. This tutorial describes how to create Android applications with Eclipse. This is very long tutorial, but also most detailed. Tutorial describes how to install the Android SDK and set up your development environment for the first time. In this tutorial I show you an android application, which logging in to Facebook, then get the Facebook ID. This is one of tutorials from series of topics for drawing with canvas on android. In this tutorial we will see how to incorporate Google Maps into an Android app. This tutorial will help you to start using location services (in particular: LocationManager class to get user location and Geocoder to translate location into addresses) and Google Maps on Android. Learn to work with the Android contacts database. 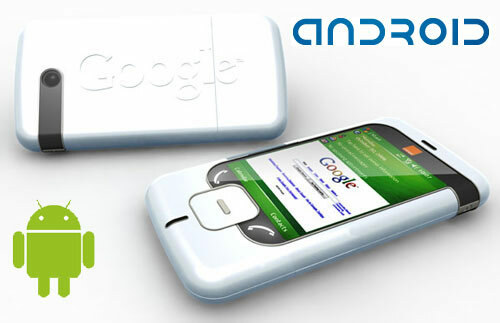 Basic knowledge of accessing SQLite in Android along with using Cursors is expected. 9. How to Calculate the Distance Between Two GPS Coordinates? A simple function that takes two GPS coordinates as input and outputs the distance between them in meter. In this article tells how to create live wallpaper from scratch. 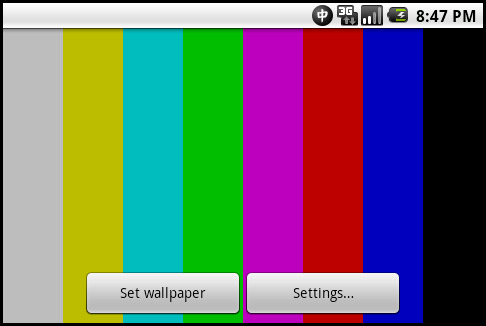 Step-by-step, we will create live wallpaper that would output TV test pattern on out home screen.